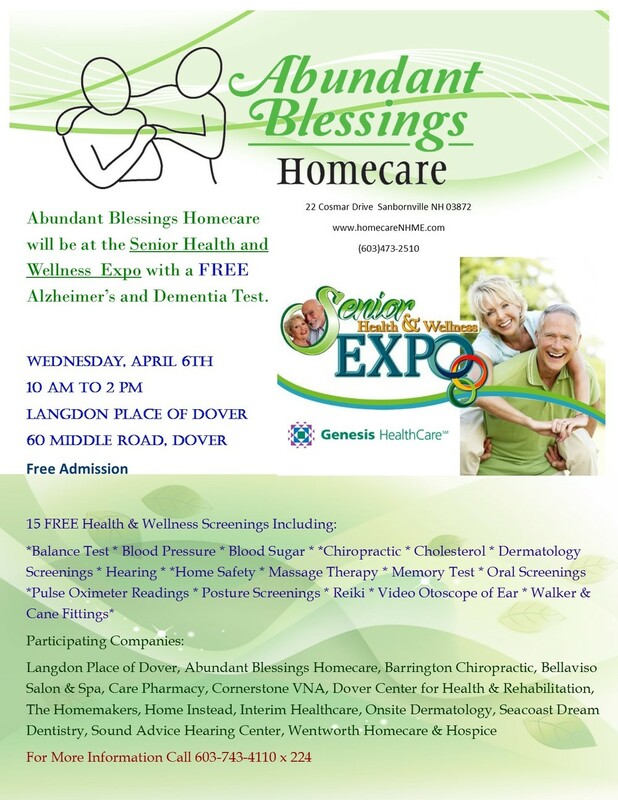 Please join us at the Senior Health and Wellness Expo on April 6th from 10am-2pm at the Langdon Place of Dover. There will be many great vendors offering freebees, refreshments, offers, and great information on goods and services available to Seniors. Stop by and see our booth, meet some of our staff, take a moment to do our free Alzheimer's and Dementia Screening Test, and enter for a chance to win our beautiful gift bag! See you there! A beautiful song by a 15 year old boy singing about his relationship with his precious Nan who battles Alzheimer's and his love for her. This goes out to anyone who's life has been impacted by this terrible disease. We understand, and we're here. Well done Harry! Yes, you can buy a present for a loving grandparent from a store, but they can be very impersonal. Why not make one with your kids? Kids will love the craft time and grandparents will love having something homemade. "When a grandchild makes a handmade gift, the present is unique and the grandchild is giving of his time," says Sue Johnson, a grandmother of six from Lancaster, Virginia, grandparenting expert and author of Grandloving: Making Memories with Your Grandchildren. "It's also meaningful because we know they have been thinking about us when they made the gift, and it contains something of himself." Like Johnson, Kimberly Jo Ellingsworth, a grandmother of five in Monterey, California, understands the significance of a handmade gift. "I always remember the look on my oldest grandson's face when he would bring something he made home and give it to us," she says. "He was so excited, and then even more excited because we used it rather than putting it on a shelf somewhere." With the help of some very creative grandparents, we came up with eight fun ideas for things your little one can make (sometimes with your help) for this special person in their life. Grab your family photos and laminate them to place mats to send to grandma and grandpa. You'll always be there with them bringing joy to each meal. Record the kids telling their grandparents about their favorite times with Nana and Papa "as a reminder of the importance of being together," Johnson says. Have the kids draw grandma's favorite flower, then cut it out and have them paste their photo on it. Draw a big sun with your child's photo in it, and caption it "You are my sunshine!" Teach your kiddos the words to the song and put it on a CD to accompany the gift. Have the kids come up with 10 things they can do for their grandparents -- everything from raking the yard to baking their favorite cookies -- and make each idea a coupon to put in a book. Get some magnetic tape and put pieces on the back of family photos to create instant fridge magnets. Grab the video camera and record your kids being goofy. Or, as Johnson suggests, ask the kids to relay "our family history from the eyes of your grandchild." Paste a photo of your child on cardboard, cut it into pieces and send with instructions saying, "Put this together and see who loves you!" Write a list of "I love you because ..." statements to send to the grandparents to let them know how special they are. Yes, physical gifts are nice, but grandparents often treasure the gift of memories with their grandkids even more. Your child and their grandparent can organize something fun for them to do together. For example, create a family trivia game with facts about each person, set up a scavenger hunt or get messy with an afternoon of finger painting. You can take photos of the special day and put them in an album from grandparents to look over. Handmade gifts can be a tradition that grandkids and grandparents alike can look forward to. Get the little ones thinking of a new gift idea weeks, or even months in advance. This will make for a rewarding present the grandparents won't forget. Michelle Perez is a freelance writer covering all things Denver. Her work can be found here. There's an old saying about the eyes being windows to the soul. But the latest medical and dental research shows that the mouth truly is a window into one's overall health. Looking out for a loved one's health means not only keeping an eye on their nutritional intake and physical capabilities, but also on their teeth and gums. Senior dental problems can be common, from dry mouth to periodontal disease, and since oral health directly impacts the health of the rest of the body, these issues need to be taken seriously. Taking care of elderly teeth and gums is just as important as heart or digestive health. Researchers have found that many diseases in the rest of the body have oral symptoms. With careful examination of the teeth, gums, and tongue, dentists have found evidence of heart or liver disease, eating disorders, diet deficiencies, anemia, diabetes, arthritis, HIV, osteoporosis, and even some autoimmune diseases. "We're now realizing how they're interrelated," explains Dr. Cynthia M. Carlsson, assistant professor of geriatrics and gerontology at the University of Wisconsin School of Medicine and Public Health. Not only does the mouth tattle on the rest of the body, oral health can actually affect overall health. For example, recent studies show a correlation between gum disease and heart disease. In fact, risk factors for periodontal disease and cardiovascular disease are similar: smoking, stress, poor diet, excessive weight gain, and low exercise levels. One study suggests that people with severe periodontal disease face double the risk of fatal heart disease, and severe periodontal disease also is associated with higher rates of stroke in some studies. And in certain circumstances, a tooth infection has the potential to cause bacterial endocarditis, which is an infection of the heart's inner lining or the heart valves. Bacteria in the bloodstream can lodge on the valves or damaged heart tissue, and it could be serious enough to damage, or even destroy, the heart valves. Periodontitis also appears to share risk factors with chronic degenerative diseases such as ulcerative colitis, and lupus. If a patient has severe gum disease, they may be advised to take antibiotics before undergoing invasive dental procedures such as gum surgery or tooth extraction. Conversely, other diseases can affect the mouth. For example, diabetes affects healing, so if a diabetic senior has gum disease, it may take quite a bit longer to treat that gum disease. Researchers now urge both doctors and dentists to be alert to overall health problems when taking care of elderly patients and encourage behaviors that will promote a healthy body from head to toes. It's easy for someone to let oral health slide a bit when they're distracted by other ailments. Perhaps arthritis makes tooth brushing painful, or they can't stand at the bathroom sink very long. 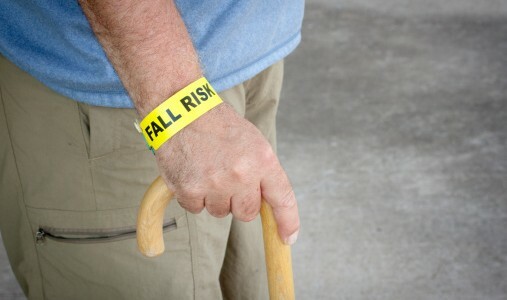 "They're maybe not quite as vigilant because of their frailty, which leads to a quick decline in oral health, and this could be a detriment to systemic health," explains Dr. Marsha A. Pyle, director of the Training Center for Geriatric Oral Health and associate dean of Education at the Case School of Dental Medicine in Cleveland, Ohio. "You can't just treat dental disease in isolation." It's best to brush after every meal, says Pyle, not just in the morning and at night. If a patient is at risk of periodontal disease, a dentist can prescribe special toothpastes or gels that help combat dental disease, as well as a daily treatment of high-fluoride gel or anti-bacterial rinse. Carlsson advises encouraging your loved one to visit their dentist on a regular basis either to have their teeth cleaned or to have their dentures refit. Missing teeth or dentures that don't fit well can lead to potentially serious senior dental problems. "They may aspirate the food, where food goes down into the lungs and causes pneumonia," Carlsson says. Besides encouraging good nutrition and regular dental visits, watch him eat to see if he's avoiding something, and try to notice if any of his teeth look loose or broken. Ill-fitting dentures can be a culprit in poor nutrition among seniors. When a person loses his natural teeth, his jaw bones begin to shrink away, leading to the jaw continually "remodeling" itself. Dentures that once fit well start slipping. So, a senior may start limiting the kinds of food he eats because it's too hard to eat, or because he's embarrassed that others may see him having trouble chewing. "And it happens during a really important stage of a person's life. These really frail seniors really need their nutrition," Pyle says. If a senior does lose her natural teeth, instead of traditional dentures, she could have implant-supported dentures. These implants are attached to the jaw bone, and a special denture snaps onto the implants. These implant-supported dentures fit more snugly than traditional dentures, so eating different foods shouldn't be a problem. A less drastic measure places a softer material on the gum side of traditional dentures so they're more comfortable. Just a few decades ago, 50% of all seniors had no natural teeth remaining, according to Pyle. That number has now dropped to 27% of those over age 65. "It's not a natural part of aging, I'm happy to say," says Pyle. "People now are aging with a full set of teeth." Whether or not your loved one has his natural teeth or dentures, a little help from you can go a long way toward ensuring that he maintains good dental hygiene. A healthy smile may affect a person's confidence and self-image, but, more importantly, it will pay off not only in her oral health, but in her overall health as well. According to Pyle, one of the major senior dental problems is dry mouth. "If they have a chronic disease managed by medications, one of the side effects is dry mouth. There are 400 medications known to cause dry mouth," Pyle says, including medications for common problems such as high blood pressure and depression. While a small amount of gum recession is normal as seniors age, dry mouth increases that recession dramatically, leaving the mouth more susceptible to root area cavities. And those root surface cavities advance more quickly on the soft surface of a tooth. Being stuck indoors due to winter weather can put seniors at risk of social isolation and poor quality of life. Find out what you can do to keep your elderly loved ones engaged and healthy. The wild winter weather across much of the country is keeping many people indoors more than they would like, and being stuck inside can be a particular problem for seniors living alone– putting their mental, emotional, and even physical health at risk. Not only is it more difficult for the elderly to leave without risking winter dangers like the cold, falls, and dangerous driving conditions, it’s also harder for visitors to reach them. 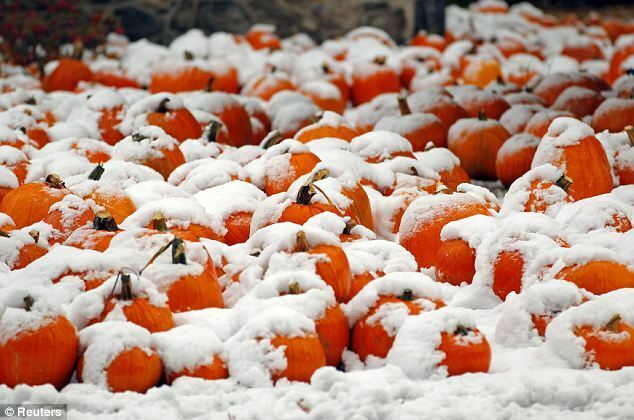 Winter weather can also have an effect on senior nutrition, if someone is unable to leave the house and shop for food. An even more distressing result of being trapped inside, unable to come or go, can be social isolation and loneliness. We often think of the elderly as residing in a senior community, with family, or in other shared housing situations, so it may be hard to imagine that loneliness is an issue for seniors. According to the U.S. Census Bureau, however, the probability of living alone actually increases with age. For women, the likelihood of living alone is 32 percent for 65- to 74-year-olds, but this increases to 57% for those aged 85 years or more; for men, the corresponding proportions are 13% and 29% . Even for centenarians—seniors who are 100 years of age or older—the numbers are astonishingly high: about a third of centenarians live alone at home. Recent research reports shows how it effects seniors: at the 2014 annual meeting of the American Association for the Advancement of Science earlier this month, University of Chicago psychologist John Cacioppo reported that feeling extreme loneliness can increase an older person’s chances of dying early by 14%. “Feeling isolated from others can disrupt sleep, elevate blood pressure, increase morning rises in the stress hormone cortisol, alter gene expression in immune cells, increase depression and lower overall subjective well-being,” stated UChicago News. Whether it’s arranging for the delivery of incontinence supplies or making sure your loved one has regular hearing or vision tests, being proactive about seniors’ health can help them feel better on a day-to-day basis. What’s more, it can diminish the social anxiety related to hearing, vision, or continence concerns. If the weather makes it impossible for you to check on your senior loved one as much as you’d like, enlist the help of others who may be nearby and more easily able to visit. Can a neighbor knock on the door and check in? Don’t forget to call or email your loved one often to keep those connections strong even when you can’t visit in person. Seniors who live alone may be at greater risk of getting poor nutrition when the weather turns nasty. Consider getting food delivered by an online grocery service, or by an organization such as Meals on Wheels, which can provide not just nutritious food but social contact. Encouraging your loved ones to use the adaptive technologies they may need, from hearing aids to walkers, which can help them become more active and socially engaged. When it comes to getting outside the house, though, storms and snow can present a challenge. Give senior relatives rides when you can, or arrange safe transportation for them, whether it’s senior-friendly public transit, an ambulette or paratransit service, or a taxi. You can use the U.S. Administration on Aging’s Eldercare Locator website to get in touch with your local Area Agency on Aging. The AAA will know where your loved one can find senior centers, transportation services, and other helpful programs for the elderly. “Some AAAs even have volunteers who call and check in on home bound seniors living alone,” says a recent article by the AARP. Sometimes our loved one needs more care than we are able to provide, especially in cases where the weather throws a (literal) roadblock. One option in this case is to book your loved into a short-term stay in a facility that offers respite care, so that their day-to-day needs are taken care of for the duration of their stay. However, if a senior requires ongoing help that is beyond your abilities – for instance, if they are cognitively impaired, or their physical care needs are increasing – this could be a sign they are ready for assisted living. Seniors are better than younger people at getting their servings of fruit and vegetables, but that's still not saying much. Only 30 percent of people 65 and older eat five or more daily servings of fruit and vegetables, which is the minimum amount recommended for good nutrition. Eating plenty of fruit and vegetables is especially important as you get older, because the nutrients and fiber in these foods can help reduce high blood pressure, lower your risk of heart disease, stroke, and certain cancers, stave off eye and digestive problems — and simply satisfy your hunger. How Big Is One Serving of Fruit or Vegetables? Before you try to eat an entire bunch of bananas or a bushel of apples, know this: One serving of fruit or vegetables equals half a cup, or about the amount you could hold in a cupped hand. Nutrition experts used to recommend five servings of fruit and vegetables per day, but that’s probably no longer enough, according to the U.S. Centers for Disease Control and Prevention (CDC). Individual needs are different, and depending on age, gender, and level of physical activity, you’ll require between 5 and 13 servings of fruit and vegetables each day. To help determine your specific needs, visit the CDC’s fruit and vegetable calculator. Add fruit and vegetables to your favorite dishes. Find ways to incorporate fruit and vegetables into foods you already eat. For example, stir fruit into your cereal or yogurt, add strawberries or blueberries to your pancakes, pack your sandwich with extra veggies,add vegetable toppings to your pizza, stir greens into your favorite casserole or pasta dish, or stuff your omelet with extra vegetables. Display your produce. Put your fruit and vegetables out on the counter or in a prominent position in the refrigerator, so that you'll be more likely to eat them. Try new things. Next time you go to the grocery store, pick out a new fruit or vegetable to try. Cook vegetarian. At least once every week, skip the meat (you could join in on Meatless Monday) and try a new vegetarian recipe for dinner. Snack away. Try snacking on fresh or dried fruit, carrot and bell pepper strips with a low-fat dip, or baked chips with fresh salsa. Difficulty chewing. Some people have dental problems that make it harder to chew, resulting in a reduced interest in eating. Changes in taste. Your sense of taste can change as you get older, so you may avoid some of the foods you used to enjoy. Mobility problems. For older people who are no longer able to drive, it may be difficult to get out and shop for fresh produce. Lack of motivation to cook. If you live alone, you may not feel like cooking just for one. Changes in appetite. For many people, getting older means that you just aren't as hungry as you used to be. To get the most out of the fruit and vegetables you eat, aim for variety. Eat many different types of fruit and vegetables in a rainbow of colors. This will help ensure that you get the variety of nutrients your body needs for healthy aging. The elderly often rely on others to meet their most basic needs. Statistics tell us that about 9.5% of the elderly population is abused every year. Elder abuse includes neglect, physical abuse, financial exploitation, emotional abuse, and sexual abuse. One out of every 14 cases occurs domestically, usually within the victims homes. Abuse also occurs in nursing homes and other facilities. Physical Abuse is defined as the use of physical force that may result in bodily injury, physical pain, or impairment. This can happen even if the motives are good. For example we have seen family members who force there elderly mother into the tub, because she has dementia and would not cooperate. This forcing caused minor injuries. When confronted the family stated they were just doing what the nursing home did. This is a shocking story, and often how physical abuse occurs. Psychological Abuse is defined as the infliction of anguish, pain, or distress through verbal or nonverbal acts. What is often just family conflict and strife can easily get out of control and lead to psychological abuse. Financial Abuse or exploitation is defined as the illegal or improper use of an elder’s funds, property, or assets. A family member, neighbor, friend, even a hired caregiver, anyone who is close to the person can manipulate and abuse them for personal selfish gain. 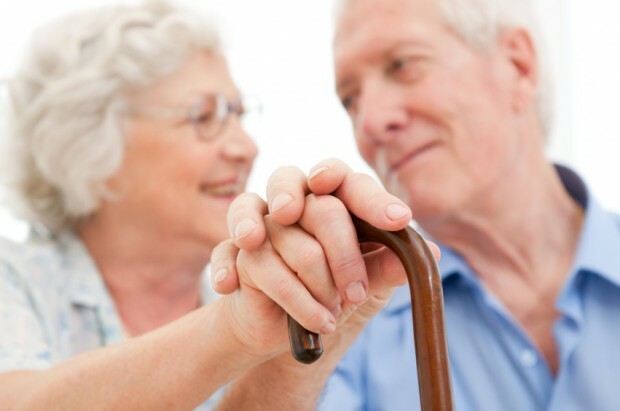 Neglect is defined as the refusal or failure to fulfill any part of a person’s obligations or duties to an elder, or the failure on the part of an in-home service provider to provide necessary care. This can easily happen just by family members conveniently forgetting about their elderly parent. Caregiving is a hard stressful job, rather than properly finding the help that is needed. Ignoring the problem is abuse. We all have the right to be free from abuse, neglect, and exploitation. If you suspect any form of abuse to an elderly person, it is important for you to report it. The types of abuse discussed above could happen to any of our community’s elders. Without intervention, abuse almost always escalates. Because victims are often reluctant to report abuse, a person’s safety may depend on you to recognize and report suspected abuse. It would be far safer for you to report a suspicion and be wrong, then remaining quiet while abuse occurs. It is important to know that more than two-thirds of elder abuse perpetrators are family members of the victims or close family friends, typically serving in a caregiving role. When elder abuse occurs, it can be addressed – if it comes to the attention of authorities. If you need to hire homecare assistance, we recommend using a licensed agency rather than hiring privately. Homecare agencies must conduct criminal background checks, and BEAS registry checks. The BEAS registry (bureau of elderly and adult services) is a database containing information on founded reports of abuse, neglect or exploitation of incapacitated adults by a paid or volunteer caregiver, guardian or agent. There are individuals with a clear criminal background check who in in the BEAS registry. The NH BEAS registry can be reached at (603) 271-3269. Also, keep in mind; only criminals who get reported and charged have criminal records. Some homecare agencies and nursing facilities conduct pre-hire personality tests. These tests help determine if an applicant has a tendency toward certain types of crime or questionable behavior. 1. A Durable Power of Attorneyauthorizes another individual to manage your property if you are disabled or otherwise unable to manage your property. 2. An Advance Directive authorizes others to make health care decisions for you during periods of incapacity and provides specific instructions to the medical profession as to management of a final or terminal illness. A simple HIPAA release can be added to this document to allow your care providers to talk with your agents before you become fully incapacitated. 2. A Last Will and Testament names a person to manage your affairs after your death, and governs the disposition of your property at death. The probate court will supervise this process. Many people also create trusts, which generally allow your family to avoid or at least minimize the probate process. Specialized trusts can also provide additional care for special needs beneficiaries, hold assets for beneficiaries who are too young to manage their inheritance, or address other specific needs – including asset protection. Guardianship – If you do not have these documents in place, and you become mentally disabled, your family will need to go to the probate court to obtain a guardianship. This is a time-consuming and expensive process, which typically occurs at the time of a crisis. The probate court is a helpful resource, but most families in the guardianship context wish they could spend time with their ill relative, rather than spending time at, or preparing for, the court house. Nursing home costs – Many people believe that when full nursing care is needed, the government will cover the cost. This is NOT true. The only program that assists with skilled nursing care is Medicaid, which is a welfare program based on financial need. The application process requires submission of five years of financial records, showing that the applicant has not gifted assets away in order to apply for help. Long Term Care Insurance – Like any kind of insurance, this product involves the payment of premiums in exchange for a promise to cover certain services. There are many different types of policies. Talk with an insurance agent who handles these policies routinely for further information. 1. The approximate value of your assets and the nature of those assets. List bank accounts, valuable person property, real estate, marketable securities, insurance products, or retirement assets such as a 401k, IRA, SEP or pension. 2. Family dynamics; including your marital status, the marital status of your children and other intended beneficiaries, and the existence of competency issues among you, your children, and intended beneficiaries. 3. Identify the individuals who will make medical decisions for you when you are incapacitated and who will manage your estate (or trust) while you are incapacitated and upon death. Providing care for a loved one can be stressful. Hiring homecare services should help relieve stress, not add to it. We made the following list to help make hiring a homecare service easier. 1. Reputation: Ask around. Ask your hospital discharge planner about any agency you are considering. Rehabs or Nursing homes will usually provide you a list of agencies to consider. Senior centers and government services such as Service Link in New Hampshire are also great place to get information. Ask specifically about more than one agency for comparison purposes. 2. Check out their website: The agency’s website should be thorough, informative and professional. 3. Ask to have a free in-home assessment. Any reputable agency should be willing and able to provide an assessment of your loved one’s needs. This meeting should be one that is not only for admission purposes, but also to answer the family’s questions or concerns. The homecare representative should be willing and able to answer and help guide the family toward the options they have, without pressure. They should be willing to be a resource for you whether you use their services or not. 1. Is your agency licensed by the state? The states of Maine and New Hampshire require homecare agencies to be state licensed. New Hampshire also requires a state license for independent caregivers. If your family is considering hiring privately for care for your loved one please read our article on this topic "Use Caution When Hiring Independent Caregivers". 2. Will you take care of all required payroll paperwork for my loved one’s caregiver? Are your caregivers all employed by the agency? The states of Maine and New Hampshire consider you an employer if you independently hire someone to work in your home. There is a large amount of paperwork involved in being an employer. This paperwork covers such matters as taxes, Social Security, workers compensation, disability, and liability insurance. One benefit of hiring an agency is that the agency normally does this for you. Even so, it is good to ask, as some agencies do use independent contractors as caregivers. 3. What kind of training do you provide for your caregivers? To expect experienced and trained caregivers to work in homecare should be the minimum. However, it is important to ask if the hiring agency is training the caregiver themselves in addition to any formal training or schooling which the caregiver has had. What do they require for continuing education? Abundant Blessings Homecare’s new hire training and continuing education exceeds the state requirements in every area. Our RN is continuously adding and improving our training. We believe providing the very best training and continuing education will assure that our caregivers are the very best caregivers! 4. Do you conduct drug testing on your caregivers? The states of Maine and New Hampshire do not require drug testing for home healthcare workers. 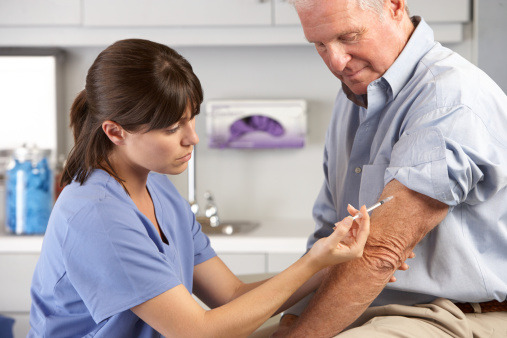 Many homes in which home healthcare services are provided contain controlled substances, therefore we believe drug testing should be a vital part of the hiring process for any home care agency. 5. What kind of background check do you conduct on your caregivers? Having peace of mind that your loved ones are in good hands is vital when hiring homecare services. The state of NH requires that homecare agencies in New Hampshire conduct only a State of New Hampshire criminal background check, not a Federal background check. They also do not require a motor vehicle driving record check. At Abundant Blessings Homecare we believe that State, Federal and Motor vehicle record checks are all essential when hiring homecare for a loved one. We run all three checks on all our caregivers. These additional checks are an added expense during the hiring process but we feel they are essential for peace of mind for your family. It is possible for someone to have a criminal record in another state which would show up on a Federal check and yet their New Hampshire background check would return "clear". We also believe motor vehicle background checks are imperative because often times home healthcare workers provide transportation for their clients. 6. Are your employees insured and bonded? The state of New Hampshire requires insurance of homecare agencies, but not bonding. However, insurance does not cover theft; bonding does. Also, not all liability insurance is the same. You could ask the agency for a copy of their policy or ask what their liability insurance covers. 7. If at any time my loved one needs more hours of care (eg: 24 hour a day), or if a caregiver should call in sick, do you have the staff for coverage? Any agency you hire should have enough staff to cover these situations should they arise. 8. What is your policy regarding sending a caregiver to my loved one’s home whom my loved one has never met? It is not safe for an elderly person to be answering the door to total strangers. An agency should have a policy in place regarding the meeting of new caregivers. Abundant Blessings Homecare never sends new caregivers to a home blindly; we always conduct a “meet and greet”. 9. What kind of supervision do you provide? 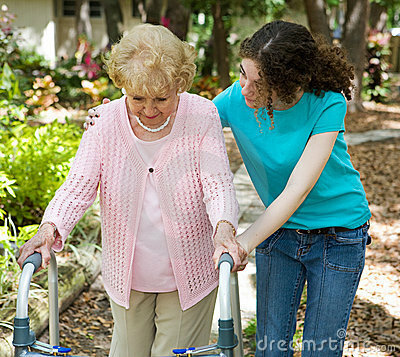 Once a caregiver is placed in the home of your loved one, ongoing supervision of that caregiver needs to be provided. How often can you expect a Care Manager/Supervisor to be available? Your family is assigned a Care Manager who you will get to know and trust as your go to person. At Abundant Blessings Homecare our phone number is always answered 24/7 by a real person and if your Care Manager is off when you call, you will be connected with whomever is providing coverage. In addition, we conduct drop in visits just to see how things are going on a regular basis. 10. What kind of service agreement is required? What are your minimum number of hours? All agencies have different policies. Find out what is required to be sure it will work for the needs of your loved one. 11. What is your method for tracking a caregiver’s arrival and departure from a clients home? The agency should have a system in place for this that works for you and your family. 12. What are your hours of operation, and how are phone calls handled during odd hours? Abundant Blessings Homecare is available by phone 24/7, and is always answered by a real person! 13. Do you provide a written plan of care which clearly describes any rates and fees? The state of New Hampshire has requirements which must be on the plan of care. The plan of care should be thorough and well explained to your family. 14. How soon can you start services? Your family may need homecare right away, yet the homecare agency may be too busy or too small to handle a quick start. They may need time to schedule services. This is a very important question to ask. Summer activities for the aging! Create a garden, it doesn't have to be big or elaborate, it could even be a garden box. This is a fun activity that come with a beautiful product! Attend a baseball game, or town festival! This provides great entertainment for all! Pick a new hobby, such as bird watching! Identify all different kinds of birds with your loved one, it keeps your brain busy, and you occupied! Take stroll to your nearest beach, or lake. You and your loved one can cool off while catching a great view! Even just dipping your feet in can cool you off on a hot summer's day! Go for a picnic in the shade. You and your loved one can prepare the food and pack the basket together, help keep their minds stimulated! Go to the park and people watch. Let your loved one reminisce on being young and seeing the children play. Listen to their stories of being young, or having children. Don't forget sunscreen and water for all! “Returning home from a hospital stay can result in unexpected challenges for many seniors. Finding themselves back at home after a hospital stay, many older adults struggle to manage their medications and make follow-up doctor’s appointments as well as obtain the physical assistance and in-home support they may require, at least on a temporary basis. As a result, many older adults do not successfully make the transition home well and end up returning to the hospital. In fact, one in five Medicare patients are readmitted to a hospital within 30 days after discharge. Studies have shown that nearly half of the readmissions are linked to social problems and lack of access to community resources”1 The readmission reduction program for hospitals has been an act of public law since October of 2013.2 Many steps have been taken to make sure the elderly are not discharged from the hospital blindly. Rehabilitation facilities have increased their services. Even many assisted living facilities and Nursing homes have added short stay and rehabilitation programs to help patients return home safely. Once home, local VNA and other Home Health Care companies can continue rehab for a predetermined period of time. Abundant Blessings Homecare works with all these facilities; Hospitals, Rehabs, VNA’s… and we have been listening to your needs. We have also been listening to the families of the patients we care for. What this means is that our Care Managers will be in the facilities (Hospitals, Rehabs, Nursing Homes…), and available to the Social Workers, Nurses, Staff and families any time they are needed. They will also be in the homes of our patients supervising our team. Sometimes a patient is discharged from the hospital to a facility with future plans to go home with homecare services. In such a case the planning for their transition to home can begin immediately upon discharge from the hospital. In other cases, patients are discharged directly to home and homecare services are needed immediately, our Care Managers are able to respond to this need and help set this up. We have always worked very well and closely with local VNA services to support any Rehab efforts (most people will not do exercises unless someone is there to assist and coach them). Most VNA services will provide needed Nursing, PT, OT, etc. as drop in visits. What we provide is homecare services which includes anything from 24/7 to 12 hour overnight services to any combination of hourly services as little as 3 hours a day, even weekends. The schedule will be whatever the family decides they need for assistance, even if it changes. Our goals are for our Care Managers to form working relationships with all the facilities, to provide a bridge of seamless communication for the patient and their families. This would enable the families to be able keep the same Care Manager helping them for the long term. It is also our aim for our Care Managers to act as liaisons between all the facilities the patient and their families, so patients can get home and stay home safe. This will help unnecessary readmissions to be reduced, families to feel at ease, and the facilities to be informed of their continuous care and know they are in good care with Abundant Blessings Homecare.